Steve Kean may still be absolutely convinced that Blackburn will avoid relegation this season, but the sales of two of his biggest assets in the January transfer window will almost certainly leave them with one foot in the Championship. Kean may feel the club must soon benefit from a change of luck after conceding some extremely late goals in recent games and an away point at Liverpool will definitely boost morale within the camp. 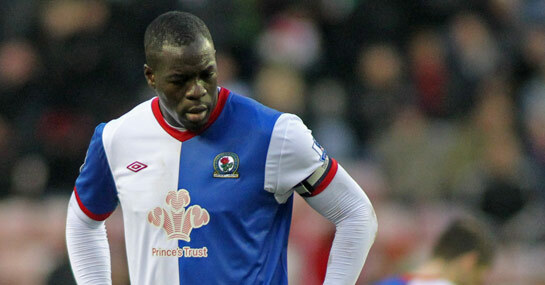 However, Blackburn are still rooted to the foot of the Premier League table and are five points from safety. Punters also do not follow Kean’s optimism as Blackburn’s odds have slumped to 4/11 that they will be relegated this season. The January transfer window will be pivotal for Blackburn as Kean needs to bring in some new faces up for the relegation scrap. But with the Venky Group reluctant to provide any financial backing, Kean needs to sell before being able to buy. Junior Hoilett and Chris Samba are arguably his two biggest assets, with the ability to fetch a combined £15m, and even though they will make Blackburn considerably weaker, Kean may have no choice but to sell. Stoke and Tottenham are among the clubs linked with a move for Hoilett, while Tottenham and QPR are reportedly interested in defender Samba. And while Hoilett’s pace and creativity will be a big loss, the defensive crisis currently being suffered at Ewood Park may mean that Samba is an even bigger one. As harmful as these sales could be, the sums received could help Kean bring in five or six new faces to shine over the second half of the season, although they are unlikely to be of the same quality of the duo leaving. Nedum Onuoha is one target from Manchester City and could fill the void left by Samba, while Fulham’s Andy Johnson may renew his partnership in attack with Yakubu from their previous time together at Everton. With Tottenham having a host of central defenders in their ranks, Blackburn could also do worse than try to incorporate one on loan into the transfer of Samba, with Sebastien Bassong perhaps the most likely to be allowed to leave.